Is the Family Truckster on its last leg? In this issue of Bay Area Houston Magazine, we look at two, affordable crossovers that will help make the miles zoom by on your Thanksgiving trip to Aunt Mary’s. 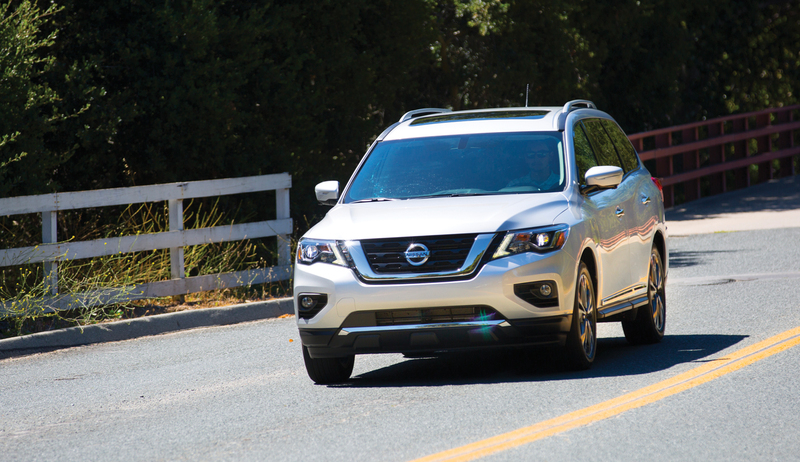 Sporting a smart-looking new grille and a boatload of updates, the 2017 Pathfinder brings the stylish, Nissan interpretation to the overcrowded CUV market. The interior wins the “makes sense” award for its clean, straight-forward design and easy-to-use controls and readouts on the dash. When ordered with the Almond interior, either cloth or leather, a touch of sophisticated elegance is added to the ambiance. 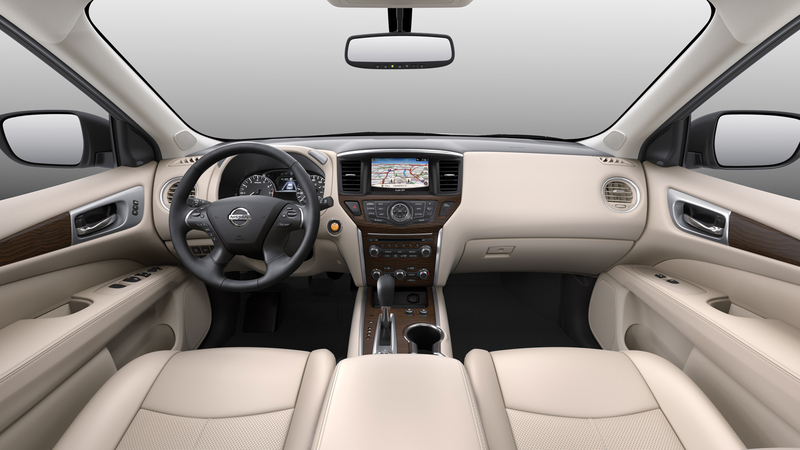 The Pathfinder’s touchscreen is larger now and its brain is more powerful and easier to use than those from 2016. Should you opt for the third row of seating, expect adults to complain, it’s a kid-only zone due to its tight quarters. The revised engine delivers 284-horsepower to the front wheels through a CVT transmission that simulates shifts like a smooth 6-speed. Fuel mileage is now on-par with competitors, 20 MPG-city and 27-highway. You’ll be able to haul a trailer-load of turkeys with the Pathfinder’s 3-ton towing capacity. Ride quality has also been refined, or should we say redefined, with better handling and a nice, seat-of-the-pants feel. Pricing gets good marks too, starting at $29,990. 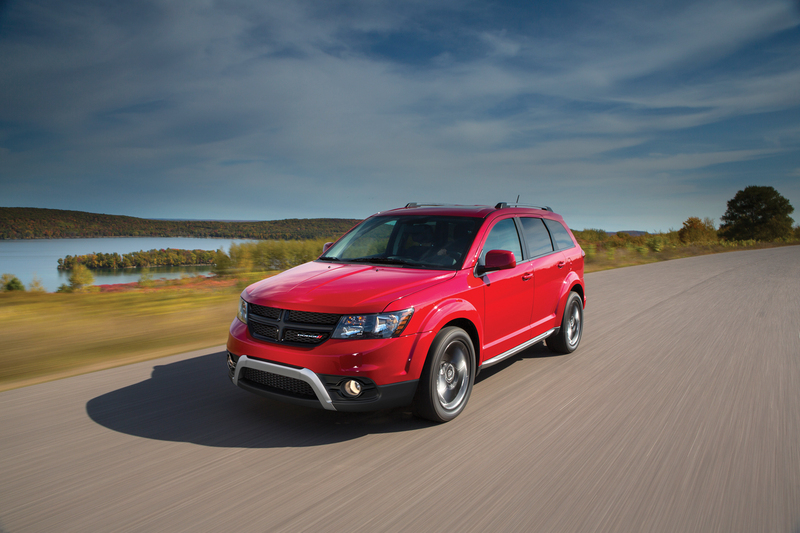 Making its debut in 2009, you may say the Dodge Journey is one of the oldest models in the midsize category. But once you look a little closer, it may be just what the accountant ordered for budget conscious families. If there were a “most-for-the-money” category, the 2017 Journey would probably win the “Major Award,” starting at $20,995. Do we have your attention now? The Journey’s bold exterior styling sets it apart from most others. Front or all-wheel drive is available on most models. New this year is a GT trim level that heaps on the muscularity beginning with a 3.6-liter V-6 engine, 19-inch wheels, body-colored grille, sport-tuned suspension, perforated leather seating with red stitching, premium sound and the 8.4-inch U-Connect touch screen that we love. The Dodge Journey’s 4-speed automatic transmission seems a bit antiquated in today’s world of 6, 8 or 10-speed automatics. V-6 mileage figures are 17-city and 25-highway. Like others in this mid-size category, there is an available 3rd row of seats that bring total occupancy up to 7, but we’d keep it reserved as a kids-only zone.